The eye of the ox in a beach! 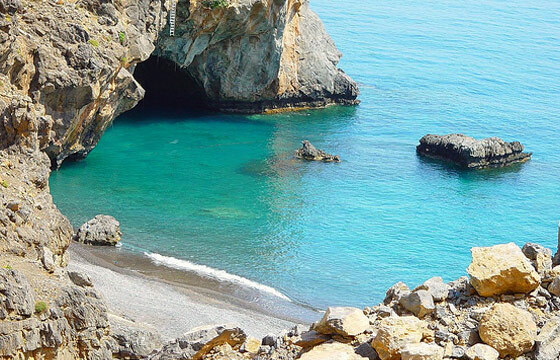 At the exit of the Mesosfinis gorge, at about 60 km south of Heraklion and east of Treis Ekklisies, is formed an isolated beach with thick sand called Voidomatis. From the sea emerge two big rocks and at the east there is the huge cave called “Voidomati”, meaning the eye of the ox in Greek. The beach can be also accessed from Treis Ekklisies region, through a 3km dirt road to the east.